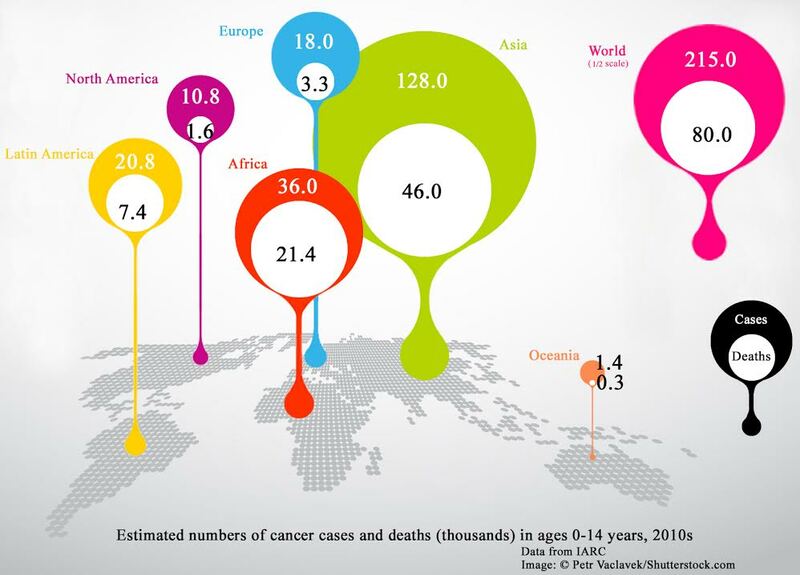 A report released recently (2016) by the International Agency for Research on Cancer (IARC) indicates that the global occurrence of childhood cancer may be significantly higher than previously thought. The report, which relies on more than 100 cancer registries in 68 countries from 2001-2010, indicates that approximately 300,000 cases of cancer are diagnosed in children and teens under the age of 19 every year. 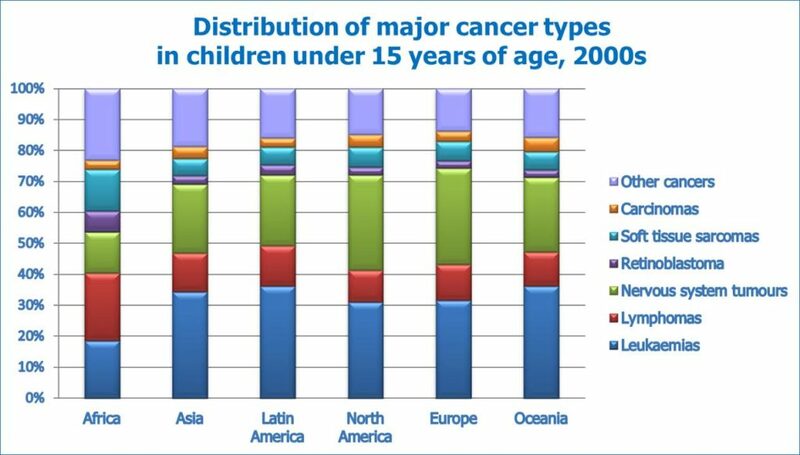 The report also indicates that there are an estimated 80,000 deaths annually from childhood cancer worldwide. Perhaps more important than these striking but rather dry statistics, however, is the report’s new and startling facts about differences in global occurrence patterns. For instance, nearly half of childhood cancers worldwide are cancers of the blood (leukemia and lymphoma), but leukemia, the most common form of childhood cancer, is rarely diagnosed in sub-Saharan Africa. The report also hints at a surprising correlation between some forms of childhood cancers and infectious diseases. For example, Burkitt lymphoma is one of the rarest forms of childhood cancer but occurs with the highest frequently in equatorial Africa where exposure to Epstein-Barr virus and malaria are also prevalent. Kaposi sarcoma, another rare form of cancer, has a higher rate of diagnosis in countries with a high prevalence of HIV infection. These surprising findings indicate the need for significantly increased research into the causes of these and other disparities, as well as the correlation between childhood cancer and other diseases in some areas of the world.